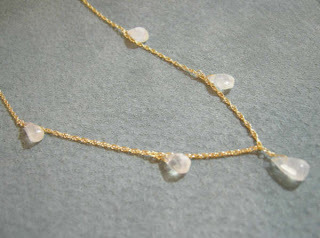 I love moonstone! Rainbow moonstone has such a beautiful shimmer to it! Supposedly it has a healing power of balancing one’s emotions… I don’t know about that, but it does LOOK magical!